"I believe that my work has been just, and that someday China will be a free and democratic country. Our people then will bathe in the sunshine of freedom from fear. I am paying a price to move us in that direction, but without the slightest regret. I have long been aware that when an independent intellectual stands up to an autocratic state, step one toward freedom is often a step into prison. Now I am taking that step; and true freedom is that much nearer." - Liu Xiaobo, on December 29, 2009, shortly after being sentenced to 11 years in prison for "subversion of state power"
A 54 year-old former professor of literature at Beijing Normal University, Liu Xiaobo, who was awarded the 2010 Nobel Peace Prize, was jailed for 21 months after the Tiananmen Square crackdown for his role in supporting students who had taken part in the peaceful protests. In 1996, Liu was sentenced to three years of "reeducation-through-labor" as a result of further human rights activities. He was detained again on December 8, 2008, two days before the release (on the 60th anniversary of the Universal Declaration of Human Rights) of a pro-democracy manifesto called Charter 08, which he helped to draft. On December 23, 2008, several eminent writers, lawyers, and human rights advocates released a letter to Chinese President Hu Jintao urging Liu's release. Liu was formally arrested on June 23, 2009, on suspicion of "alleged agitation activities aimed at subversion of the government and overthrowing of the socialist system." The US House of Representatives (in October 2009) and the European Union (in December) called for Liu's release. On December 9, 2009, one year after being detained, Liu was formally indicted on charges of "incitement of subversion of state power," and on December 25--after a trial failing to meet the minimum standards of due process--Liu was sentenced to 11 years in prison. On October 8, 2010, the Nobel Committee awarded Liu the Nobel Peace Prize in recognition of his "long and non-violent struggle for fundamental human rights in China." Human Rights Watch has also named Liu as a recipient of its 2010 Alison Des Forges Award for Extraordinary Activism. Chen Guangcheng is a blind legal activist who in June 2005 filed a class-action lawsuit accusing officials in Linyi, Shandong Province (northern China) of seeking to enforce strict population control laws by subjecting thousands of people to forced abortions and sterilization. In August 2005, local officials illegally subjected Chen and his family to house arrest for seven months. In March 2006, Yinan county police officers “disappeared” Chen for three months before formally announcing on June 10, 2006 that he was being held in the Yinan County Detention Center. On June 21, 2006, the Yinan County People’s Procuratorate formally arrested Chen on charges of damaging property and assembling a crowd to disrupt traffic. Chen’s lawyers were prevented from interviewing witnesses and gathering evidence. On August 24, 2006, Chen was found guilty and sentenced to four years and three months in prison. On September 9, 2010, Chen was released from Linyi Prison, after having served his full sentence. Since his release, Chen and his wife Yuan Weijing have been subjected to house arrest. On February 9, 2011, China Aid released a video showing the harsh conditions of this house arrest. A few days later, a CNN crew was forcibly prevented from interviewing Chen. In February 2011, an hour-long video covertly filmed by Chen Guangcheng and his wife, Yuan Weijing, documenting the draconian conditions of confinement they suffered, was released by ChinaAid. They were reportedly severely beaten after the video was made public. Chinese citizens, diplomats and foreign journalists from news agencies, including CNN, the New York Times and Le Monde, who tried to visit Chen Guangcheng were threatened and, in some cases, attacked. In July 2011, increasing numbers of Chinese citizens have attempted to break the unlawful blockade around Chen Guangcheng’s home in order to visit him and express support. These activists invariably encounter obstruction by police and plainclothes thugs who appear to operate at official behest who unlawfully detain them and prevent them from reaching Chen’s hometown in Dongshigu, Linyi County of Shandong Province. Some activists have reportedly been beaten and robbed in their attempts to reach Chen’s village. Chen Guangcheng and Yuan Weijing were reportedly brutally beaten for four hours by the local mayor and other officials, in the presence of their daughter. In October 2011, Chen Guangcheng’s six-year old daughter, Chen Kesi, was reportedly allowed to attend school after previously being barred. Operation Free Chen Guangcheng — attempts to visit Chen Guangcheng by dozens of Chinese citizens and activists — has intensified. On October 27, the U.S.-based film production firm Relativity Media announced the start of production on its first joint venture film, the “first of many projects that Relativity plans to shoot and do post-production work on in China.” The announcement touted close connection with local officials, especially the Linyi Municipal Committee of the CPC. The announcement prompted criticism from Human Rights Watch, local activists and other human rights organizations that Relativity Media had disregarded the persecution and torture of Chen Guangcheng carried out in the very county they were filming in. These groups urged Relativity Media to cease collaboration with local government officials responsible for human rights abuses and apologize to Chen Guangcheng and his family. On the night of April 22, 2012, Chen Guangcheng escaped from his home, in which he had been illegally confined by the local authorities since his release from prison 19 months earlier. He was driven to Beijing by He Peirong, an activist who has long campaigned for Chen's freedom, and Chen is understood now to be under the protection of US diplomats. Chen's wife, mother and children remain under house arrest. His brother, Chen Guangfu has been arrested by the police following a violent confrontation in involving government officials in his home. Chen Guangcheng’s nephew, Chen Kegui, the son of Chen Guangfu, is on the run from the police as a result. Activists close to Chen, including Hu Jia and He Peirong, were held by security forces shortly after news of his escape was known. Hu Jia was released after a 24 hour detention. In a video Chen released on April 27, 2012, he appealed directly to Prime Minister Wen Jiabao, asking for an end to his unlawful home imprisonment, the prosecution of local officials who abused him and his family, and an investigation to find out who was ultimately responsible for his treatment. On April 30, the New York Times cited an unnamed "Senior American official" as acknowledging that Chen was under US protection and that high level negotiations about Chen's fate were taking place. Defender of human rights, "disappeared"
Gao Zhisheng is a 45-year-old rights lawyer who in 2001 was named "one of China's top ten lawyers" by a state-run publication, before angering authorities by doing pro bono work for forcibly evicted homeowners, democracy activists, and members of religious minorities. In August 2006, Gao was detained, stripped of his license and charged with “inciting subversion of state power”--a state security charge often used against political dissidents. On December 22, 2006, Gao was sentenced to three years in prison, with a five-year reprieve, and deprived of his political rights for one year. In September 2007, Gao was detained for several weeks; he later described being tortured during this period. In January 2009, Gao's wife Geng He and two children fled to the US. One month later, Gao was detained again by Chinese security officers and held incommunicado for more than one year, before briefly reappearing in late March 2010. Gao was detained again on April 20, 2010, and his whereabouts were unknown until December 16, 2011—just a few days before the end of his five-year probation period—when the Chinese news agency Xinhua reported that a Beijing court found that Gao had violated probation rules and would therefore have to serve out the three-year sentence initially delivered in December 2006. This announcement drew widespread international condemnation, including from the United Nation’s Office of the High Commissioner for Human Rights (OHCHR). 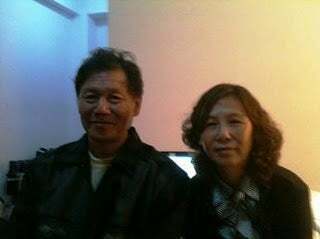 Former lawyer and housing rights activist Ni Yulan (倪玉兰) and her husband Dong Jiqin (董继勤) were sentenced to jailin April 2012, a year after they were first detained. Ni was sentenced to two-and-a-half years on “making trouble” and “fraud” charges, while Dong was handed a two-year term for “making trouble”. Ni and her husband were detained on 7 April 2011, during a wave of unlawful disappearances of Chinese lawyers, civil society activists, artists, and bloggers. In early 2011, the Chinese government had launched an aggressive crackdown on perceived dissent shortly after President Hu Jintao’s state visit to the US and the start of the “Arab Spring” protests. The couple was formally arrested on 17 May and in July, Ni was additionally charged with committing fraud. Ni, left disabled after being beaten severely by the police in 2002, suffers from severe health problems. She is unable to stand and is also suffering from swollen lymph nodes, and has no sufficient financial means to afford medical treatment. Her daughter Dong Xuan said that Ni did not have access to medical help during detention. Ni’s lawyer Cheng Hai has called the verdict “unfair and illegal”,while the European Union has asked for her “immediate release”. Ni has been involved in human rights defence for 11 years. In April 2002, she was detained for 75 days after she was caught filming a forced demolition. While in detention, she was severely beaten, leaving her maimed and in need of crutches to walk. In September 2002, she was sentenced to a year in prison for “obstructing official business”, and she lost her lawyer's license as a result. Undaunted, she continued to denounce illegal evictions and unfair compensations after her release. In 2008, just before the 2008 Beijing Olympics, Ni was sentenced to two years’ imprisonment after trying to stop the demolition of her own home. While in prison, she was tortured and suffered from other ill-treatment. She was also denied adequate medical care. After being released in 2010, as Ni and her husband have had their home demolished, the couple lived in a public park for several months. The couple was finally moved to a small hotel room after their living circumstances came under international attention. However the police would force the hotel operators to cut off the electricity and water supply to the room. Before the couple was detained in April 2011, they had been living without electricity for 107 consecutive days, without running water for most of their stay. On December 22, 2011, the Dutch government announced its selection of Ni Yulan as the recipient of its 2011 Human Rights Defenders Tulip award. Hu Jia (胡佳) is a Beijing-based human rights activist who in August 2007, as the one-year countdown to the Beijing Games began, was one of 42 Chinese signatories of an open letter, “One World, One Dream: Universal Human Rights,” calling for greater attention to human rights in China. On September 6, 2007, he and lawyer Teng Biao published another open letter, “The Real China and the Olympics,” spelling out in greater detail specific human rights concerns in China in the context of the Beijing Games. On November 26, 2007, Hu testified via audio link at a European Parliament hearing, expressing his desire for 2008 to be “the year of human rights in China.” One month later, on December 27, 2007, Hu was detained prior to being formally arrested on January 30, 2008. On April 3 2008, after a trial which failed to meet minimum standards of fairness and due process, Hu was found guilty of “inciting subversion of state power” and sentenced to three and a half years in prison, as well as one additional year of deprivation of political rights. His wife Zeng Jinyan and young daughter Qianci remain under police surveillance in Beijing. On October 23, 2008, the European Parliament awarded its 2008 Sakharov Prize for Freedom of Thought to Hu Jia. Hu’s health deteriorated while he was in prison. Zeng filed an application for medical parole for Hu six times, but each application was denied. Hu was released from prison on June 26, 2011, but remains subjected to extrajudicial house arrest. Yang Chunlin, a land rights activist from Heilongjiang province, was arrested in July 2007 for his involvement in a petition against illegal land seizures by officials and writing essays denouncing official wrongdoings. Yang, who had collected more than 10,000 signatures for his petition, titled “We want human rights, not the Olympics,” was charged with “inciting subversion of state power.” His trial on February 19 lasted less than a day, and failed to meet minimum standards of due process. Procedural violations throughout Yang’s case included serious allegations of torture and the court’s refusal to investigate them, denial by the police of access to his defense lawyers until many weeks after his initial arrest, unsubstantiated claims by the police that the case involved “state secrets,” inadequate time and facilities for the preparation of the defense, police intimidation against relatives, and threats made against the defense lawyers. Such procedural flaws are violations of international law. Huang Qi is a Chinese Internet pioneer and founder of http://www.64tianwang.com/, through which he actively investigated and publicized human rights abuses and assisted in the rescue of several trafficked girls. Originally arrested in June 2000, Huang was charged with “subversion,” tried in secret, and sentenced to five years in prison. Upon his release in June 2005, Huang initially remained confined to his parents' home, three hours from his own home in Chengdu. After the May 12, 2008 earthquake in Sichuan province, Huang published reports on the efforts by the parents of schoolchildren who had been killed to hold local authorities accountable for constructing substandard schools. Huang was detained on June 10, 2008 and formally arrested on July 18 for “illegal possession of state secrets”--a charge often leveled against critics and dissidents. Huang, who was being held at Chengdu City Detention Center, described numerous health problems in a meeting with his lawyer in May 2009, but was denied medical care. On November 23, 2009, Huang was sentenced to another three years in prison for "illegal possession of state secrets" after a trial lacking minimum standards of due process. Shi Tao, a reporter and editor for the newspaper Contemporary Business News in Changsha, Hunan Province, was detained on November 24, 2004. He was subsequently formally arrested on state secrets charges stemming from the release of details of a secret Communist Party memorandum which warned of activities by democracy activists on the 15th anniversary of the 1989 Tiananmen Square crackdown. The prosecution charged that Shi had used his Yahoo email account to send an outline of the memorandum to an overseas web forum, using as evidence confidential account information provided by Yahoo. The Changsha Intermediate People’s Court convicted Shi of “divulging state secrets abroad” and on April 27, 2005, sentenced him to 10 years in prison, with subsequent deprivation of political rights for two years. Shi appealed the verdict, arguing that he had not been aware that the memorandum was classified and charging police with failing to adhere to legal procedures during his arrest, but the Hunan Higher People’s Court rejected the appeal on June 2, 2005. Shi is currently serving his sentence in Hunan province’s Chishan Prison, and is due for release on November 24, 2014. Yahoo has been sharply criticized for its role in Shi’s conviction. At a Congressional hearing held by the House Foreign Affairs Committee on November 6, 2007, Chairman Tom Lantos told Yahoo Chief Executive Jerry Yang and General Counsel Michael Callahan: "While technologically and financially you are giants, morally you are pygmies." Committee to Protect Journalists : "Shi Tao: International Press Freedom Award 2005"
Mao Hengfeng is a Shanghai activist who has been active in defending housing rights, opposing forced evictions, and promoting women’s reproductive rights for the past two decades. She was first arrested in 1988 when she was fired from her factory job for refusing to terminate her second pregnancy. She lost her court battle against the factory and was forced to terminate her third pregnancy. She subsequently petitioned to state authorities over her coerced abortion, as well as labor rights and housing rights. In April 2004, Shanghai police sentenced her to eighteen months in reeducation through labor. She was reportedly subjected to torture and ill-treatment there, prior to her release on September 12, 2005 after completion of her term. However, she defied orders to stop protesting about violations of her rights, leading security forces to harass and beat both her and her husband, Wu Xuewei. On January 24, 2006, she was arrested and detained yet again. While under police custody in a hotel room, Mao broke two lamps. She was sentenced to two and a half years in prison for “vandalizing public property.” Mao has reportedly been beaten and sexually harassed during her latest incarceration. CHRD : "Defenders in Prison: Mao Hengfeng"
Tsering Woeser, also known as Woeser, is a former editor of the journal Tibetan Literature (Xizang Wenxue) in Lhasa. She is the author of 10 volumes, including one book of collected poems, a prose volume Notes on Tibet (2003), and two books on the 1966-76 Cultural Revolution which are not distributed in China. She was removed from her position at the Tibet Cultural Association in Lhasa in 2004 after China’s United Front Department and its Publications Bureau determined that her writings contained “political errors” due to the positive references in Notes on Tibet to the exiled Tibetan leader. Woeser has been unable to apply for a passport since then. In February 2005, she established her first blog through www.tibetcult.net and subsequently wrote another blog hosted by www.daqi.com. Both blogs were shut down by the Chinese authorities in July 2006. In August 2006, Woeser sought to set up a new blog at http://woeser.bokee.com/, but this was shut down by authorities one month later. Woeser and her husband, author Wang Lixiong, were placed under house arrest after the outbreak of protests in Tibet in March 2008. In October 2010, the International Women's Media Foundation honored Tsering Woeser (in absentia) with its 2010 Courage in Journalism Award. Ye Guozhu （叶国柱）, a 53 year-old housing rights activist, is serving a four-year prison sentence for seeking to organize protests against forced evictions ahead of the 2008 Beijing Olympics. In 2003 Ye Guozhu was forcibly evicted from his home in Beijing—like thousands of other residents of the capital—to make way for Olympic Games construction projects. Soon after seeking permission in August 2004 to hold a march for other evictees in September of that year, during the annual meeting of the Communist Party Central Committee, he was arrested on "suspicion of disturbing social order." On December 18, 2004, Ye was sentenced to four years in prison. Ye Guozhu has reportedly been tortured during his detention. In October 2003 his younger brother, Ye Guoqiang, attempted suicide to protest the forced eviction of their family from their Beijing home. After jumping into the Jinshui River near Tiananmen Square, he was arrested and sentenced to two years in prison for disturbing social order. CHRD profile: "Defenders in Prison: Ye Guozhu"
Huang Weizhong is a farmer from a village in the Chengxiang District, Putian City, in the Fujian Province. Huang was one of the hundreds of people forcefully evicted and given low compensation for the expropriation of farm land. In early 2005, 676 villagers from 10 different villages elected Huang as their representative to present their grievances on land acquisition procedures and demands to the provincial government for an administrative review. The local, provincial, and supreme courts all refused to admit the case for legal proceedings. In August 2005, villagers applied for a permit to demonstrate, but were refused by the Putian Public Security Bureau. Two dozen villagers gathered in front of the Bureau to appeal their permit denial; some got into disputes with security guards which temporarily blocked traffic. Huang was arrested by Putian police.